There are many reasons why Salesforce data encryption is necessary but the 3 most important reasons may surprise you. Most people have at least a sense of why encryption is an important tenet in any data situation. You want to be able to protect your data and keep prying eyes out but there is so much more to it than just keeping out the prying eyes. Twenty years ago the solution was to keep tapes and files under lock and key, today the goal is similar but the approach has to be different. Think of the right encryption as the best safe that cannot be cracked. The best encryption has layers, like the best safe does. How hard have you worked to build your company’s reputation? Reputation is one of the most important things to the success of any business. Building a trusted brand takes work, losing all of that work because of a security breach is just not an option. Trust is built by providing reliable services and by maintaining a secure environment. When there has been a data breach, the news of the breach does not take too long to reach the public. Even if the information that has been breached is relatively mundane, the reality is the public does not hear “mundane information” they just hear “data breach”. This can color the perception of your company’s competency and leave you in an unfavorable light. Every business has competitors and sometimes companies do not fight fair when it comes to building their business. Keeping valuable trade secrets, strategies and client portfolios under wraps and secure can prevent competitors from taking advantage of the information. Keeping client information and their portfolio’s save from unsavory activities is the real challenge. Data is one thing personal information, contact information and historical data is an entirely different thing. Keeping that type of information safe not only keeps your clients trust but it also releases you from any sort of liability that can arise when there has been a breach of this type of data. 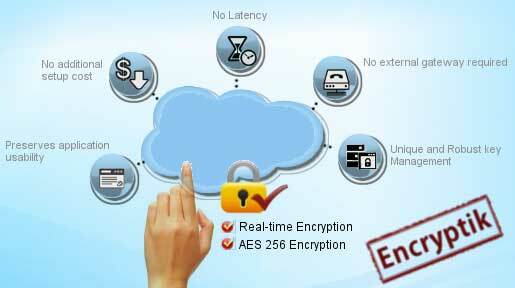 Having the right encryption is that is reliable and that deploys without effort is a necessity today. It is like adding an extra lock on the front door.